At TS Freight, we take protecting your privacy very seriously. While our business requires us to collect information on all our clients to be able to process their orders for courier services, freight services and inland transportation, we assure you that we in no way engage in selling, renting or trading of this information for monetary gains. However, we urge all our clients to personalize their information better so that while they do share with us the necessary information needed to carry out our job, they can protect any sensitive information that might be of no use to us. Please note that we may also use the information collected to get in touch with you to let you know of any new offers we may have, any changes or updates made to our services, and also to keep you updated on new events and policies that could be of interest to you. 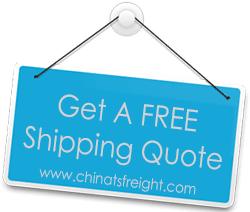 If you do not want to receive any such information from us, kindly send us an email info@chinatsfreight.com to let us know.